I am blessed to be married to the fetching Sheralyn. A wonderful woman who is not only fetching on the outside but also a beautiful person beneath the skin. She is a deeply religious Christian, independent thinking woman who does not cower to any politically correct position she supposedly should have to take as a black woman. She thinks for herself and will not back down from her beliefs at the fear of being ostracized for not being liberal enough, or for not supporting the Democrat Party. 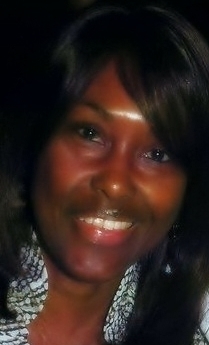 My wife, Sheralyn Denise, is a strong black woman! I am blessed to be her husband and love her deeply. A couple of weeks ago she called in this local radio talk show [using her middle name Denise], the Michael Berry show, and immediately became Michael's caller of the week with her independent, no holds barred opinions. Note: My wife is anything but a violent woman, so her colorful rhetoric near the beginning is of course meant figuratively. She would love to take the president on intellectually, and as Rush says she would win with half of her brain tied behind her back. 3. Stop victim mentality that's been passed on from generation. Now you see why I say I am Blessed!! Thanks Krissy. That is compelling and inspirational--- Sheralyn is a brave, smart and independantly thinking lady, she has been a model of a mother and devoted wife, sometimes in very tough situations. I am proud to be her brother-in-law! She needs to join Bill Cosby, Dr Carson, and a few others to lead this country out of this "ask not what you can do for your country, ask what your country can GIVE you" generation of liberals! keep up the inspirational blogging! Wow, Michael, Sheralyn is willing to stand up to the "black establishment" and say what she truly thinks. Bravo! I loved her 3 points about 2 parents, schools, and independent thinking. Don't we want that for everyone, no matter what their skin color? Her message came through loudly and clearly. Please tell her good job. She is courageous to express her views on national radio. You are blessed! Thanks so much Joel- I am indeed blessed!!! Thanks so much niece Leslie! I said it once, I'll say it again..."you are awesome."